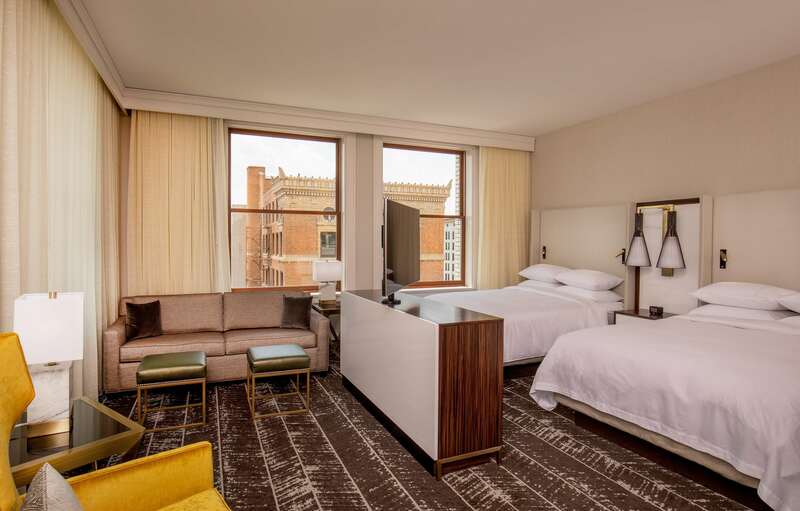 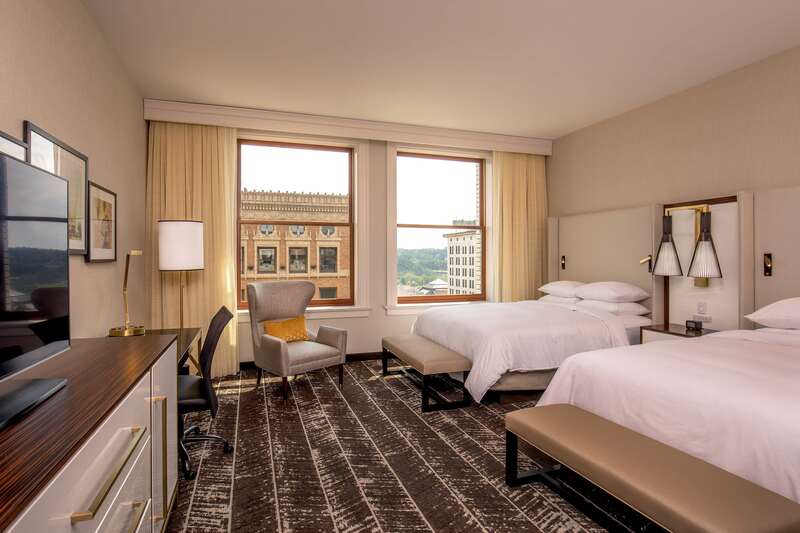 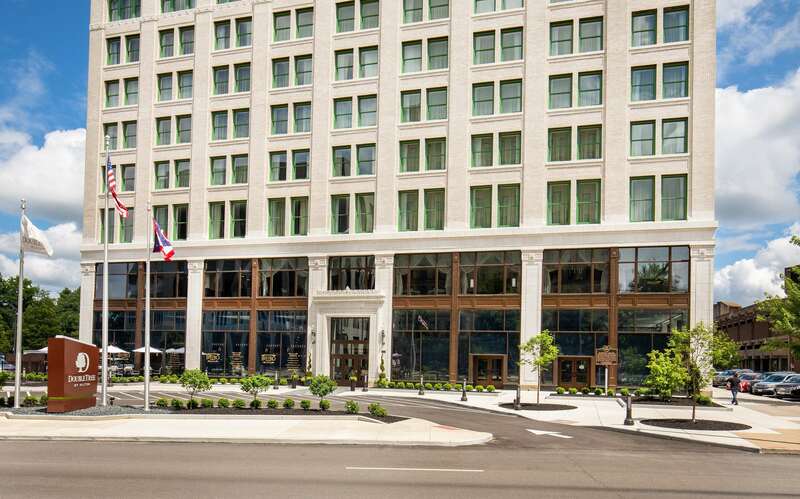 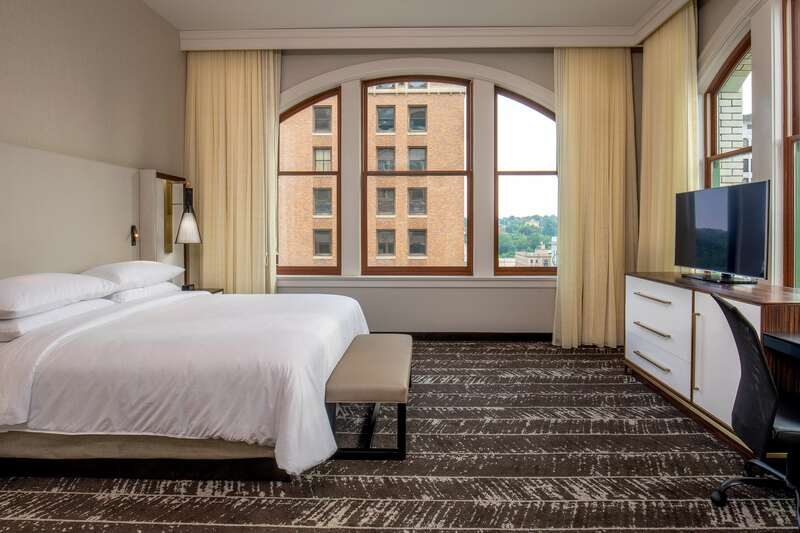 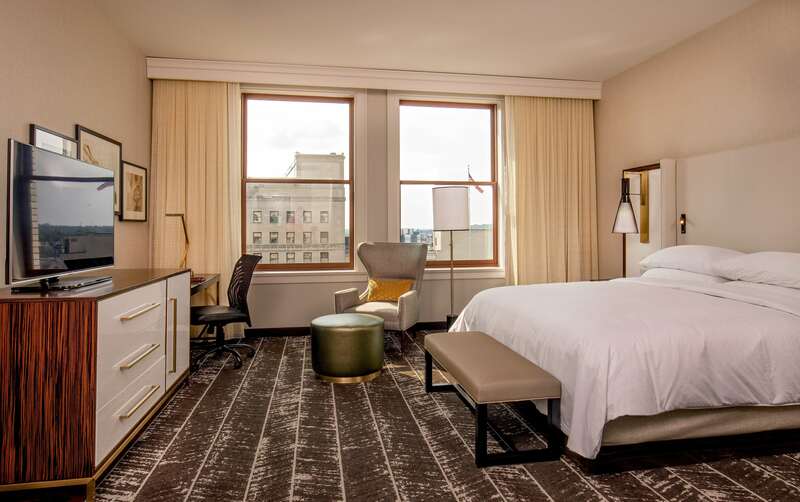 Located in the Stambaugh Building, our hotel has been fully updated with today’s amenities while preserving its historic charm and neoclassical architecture of 1907. 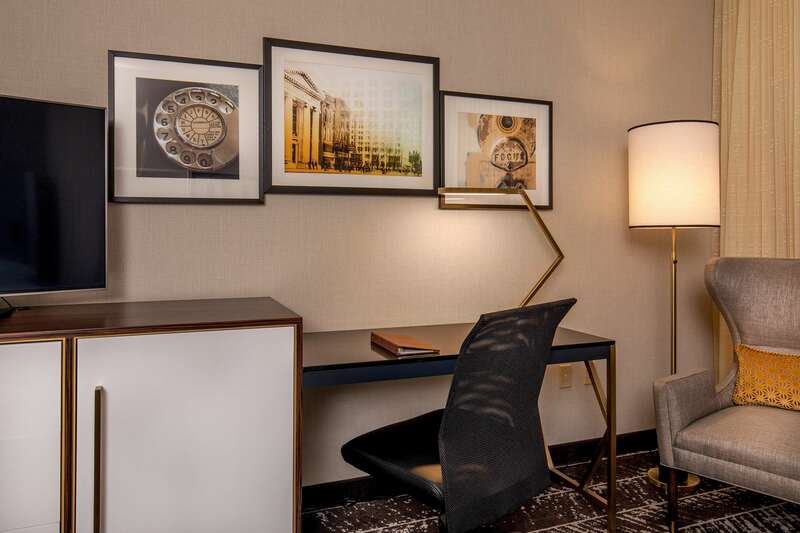 Walk to attractions such as the Covelli Centre, Youngstown State University, OH WOW! 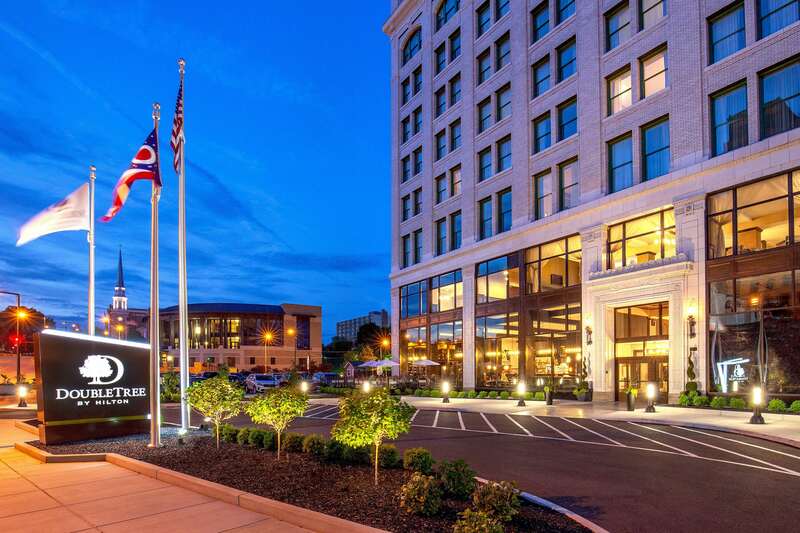 Science Center, and DeYor Performing Arts Center. 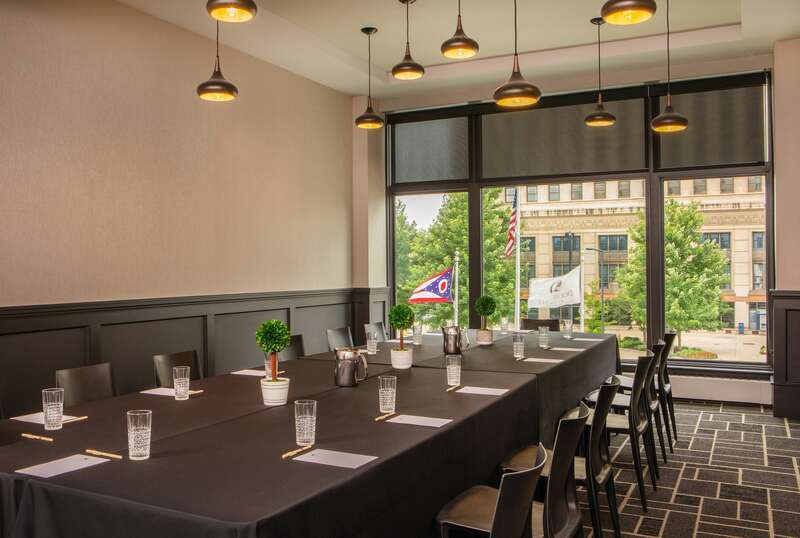 We’re also close to America Makes, Youngstown Business Incubator, Turning Technologies, Mercy Health, Vallourec Star, General Motors, and Taylor-Winfield Technologies, making us perfect for business travelers. 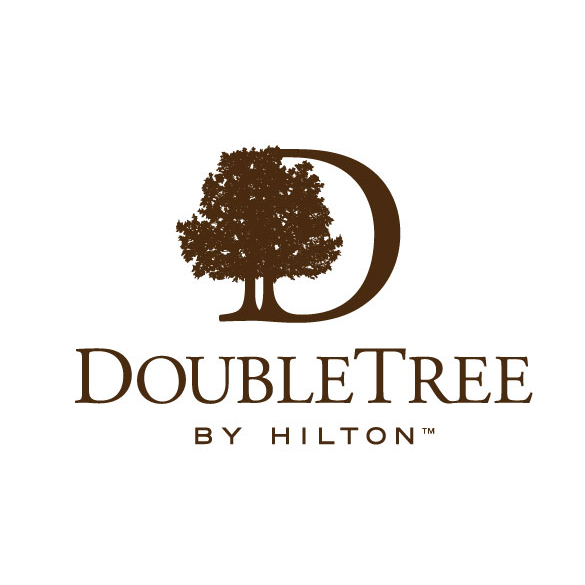 Our caring service begins with a warm DoubleTree Chocolate Chip Cookie at check-in. 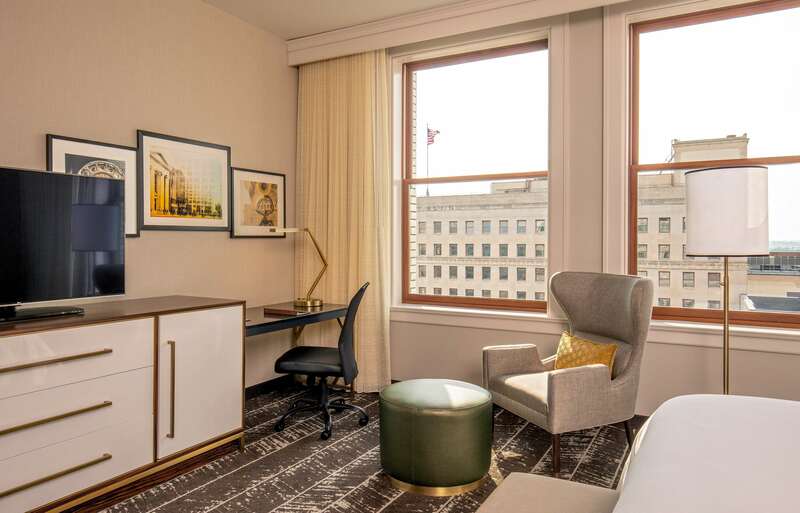 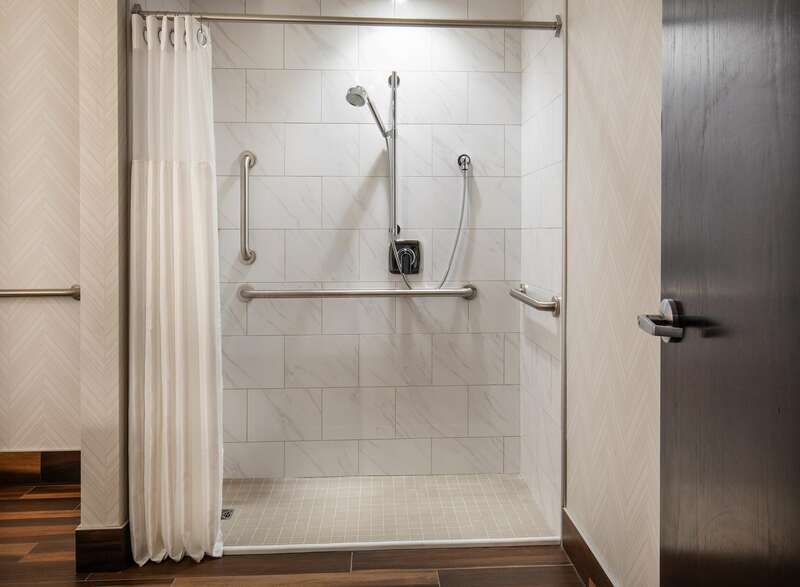 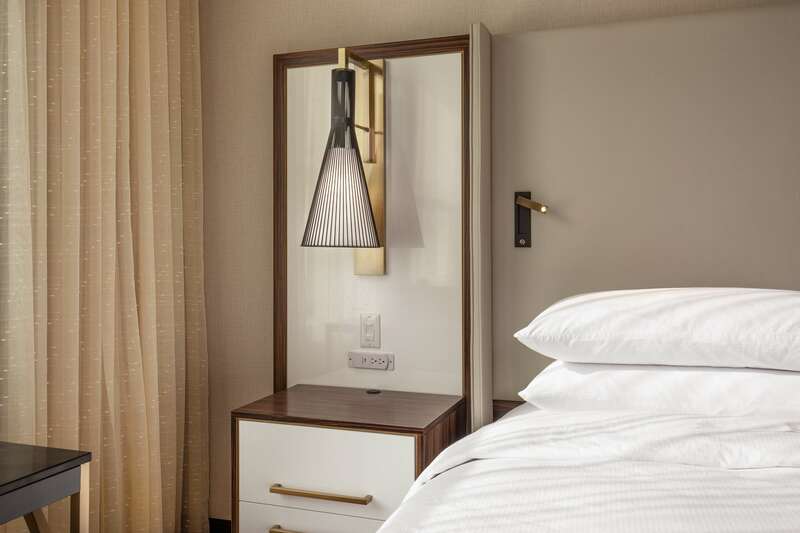 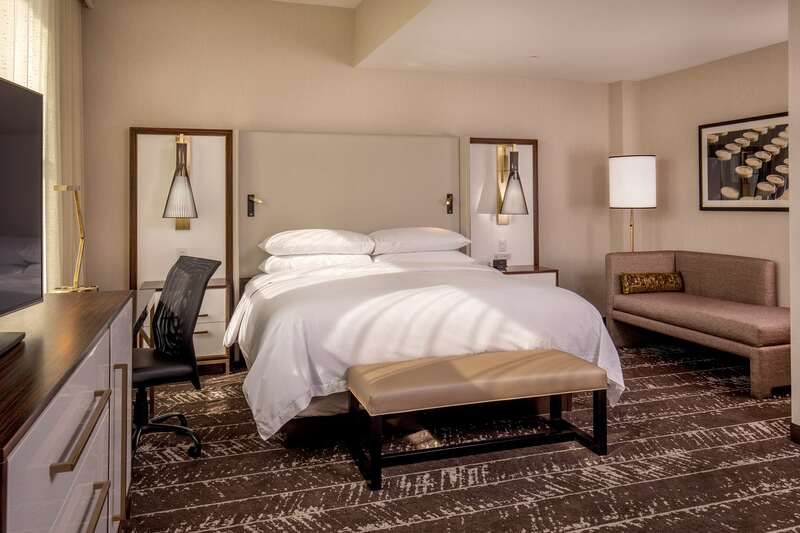 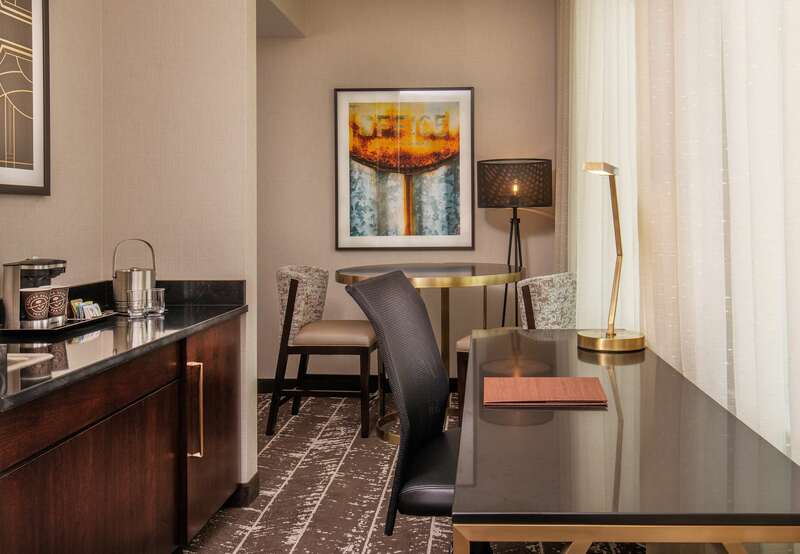 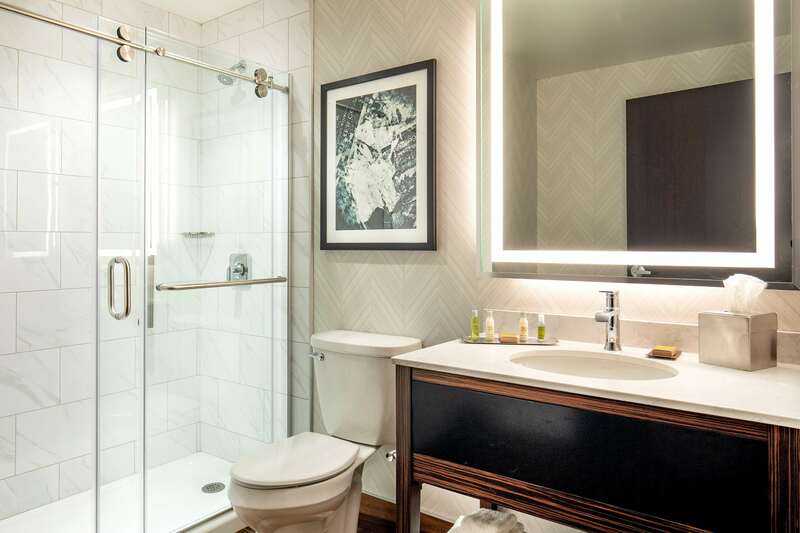 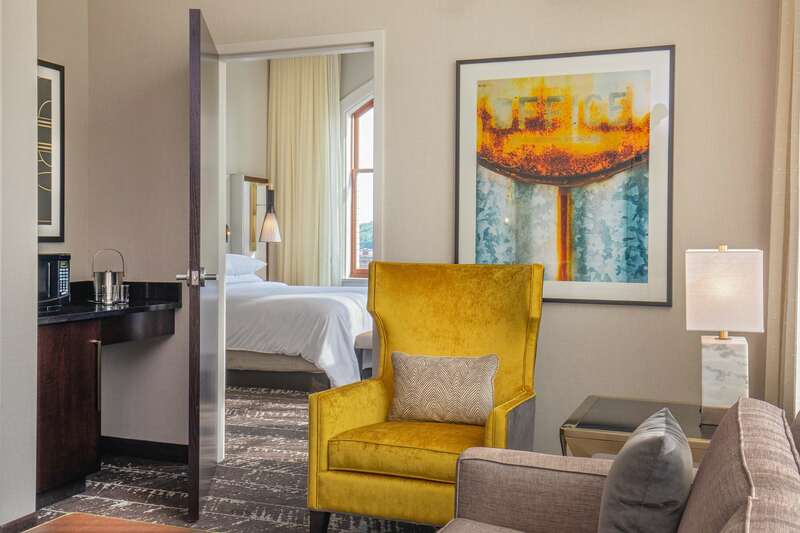 Preserved décor like marble wainscoting and mahogany doors lead you to newly renovated guest rooms – all with complimentary WiFi, a 50-inch HDTV, mini-fridge, in-room safe, coffeemaker, work desk and walk-in shower. 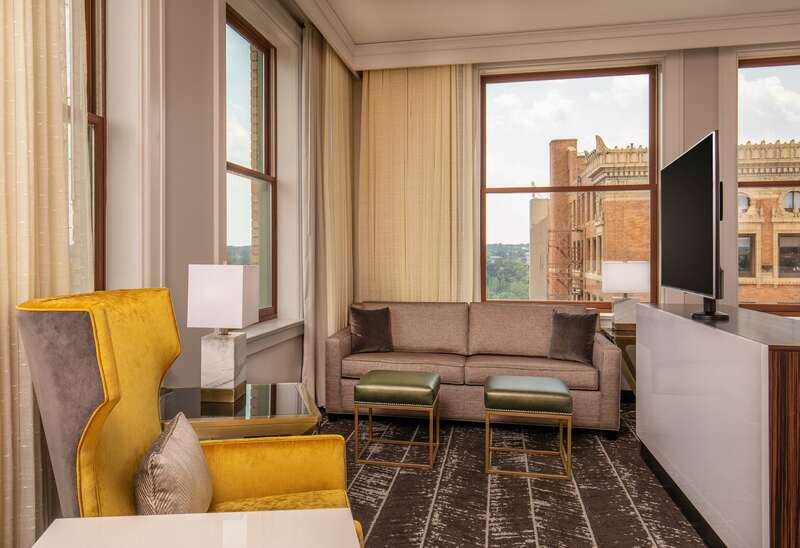 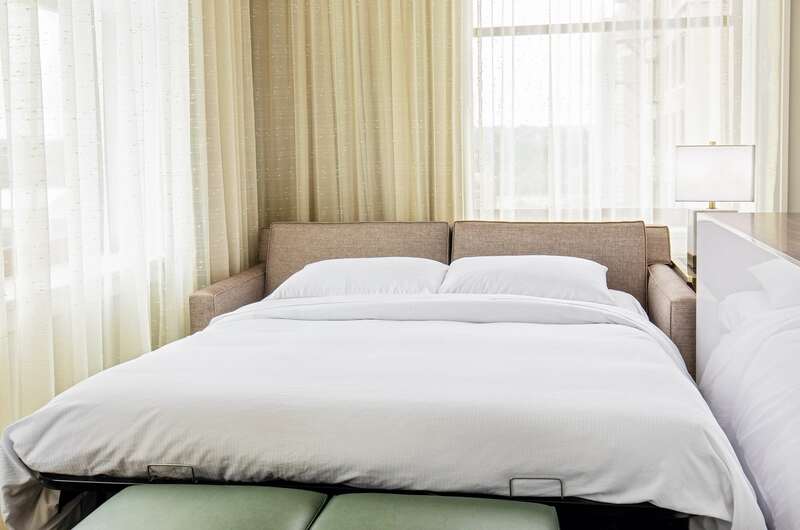 Upgrade to a larger room or corner suite with options such as a queen-sized sofa bed, dining table and superior views of downtown. 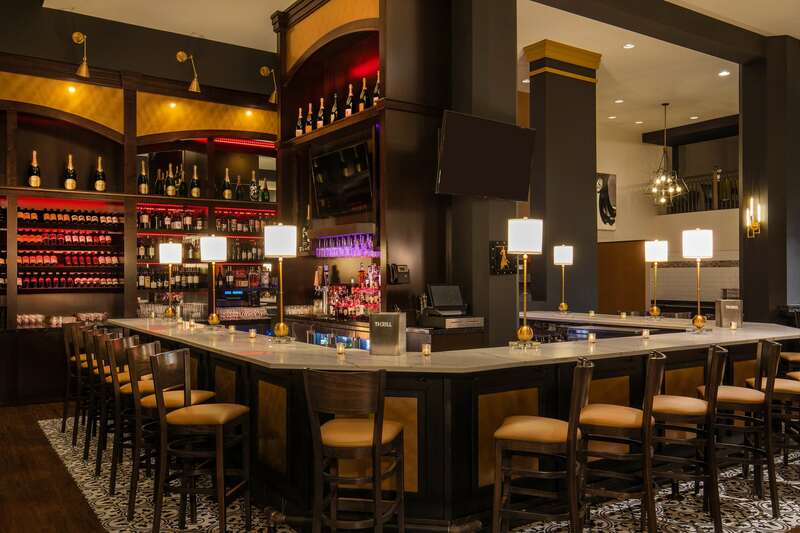 Variety awaits you with two hotel restaurants and a coffee shop. 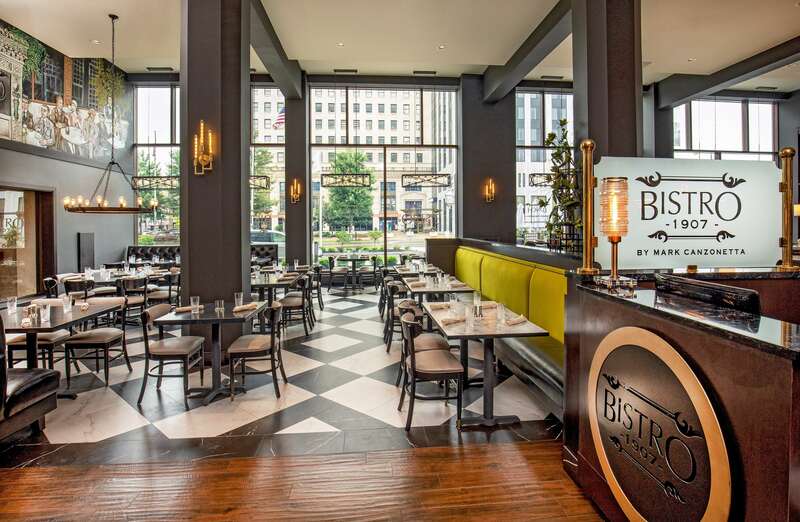 Pick up a morning pastry, savor a casual lunch, or enjoy tapas for dinner. 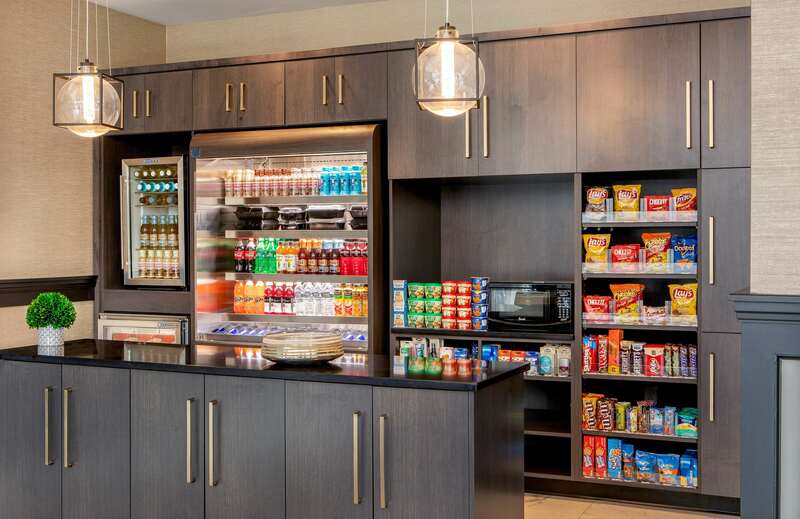 Our Made Market is always open with snacks and beverages to satisfy any cravings. 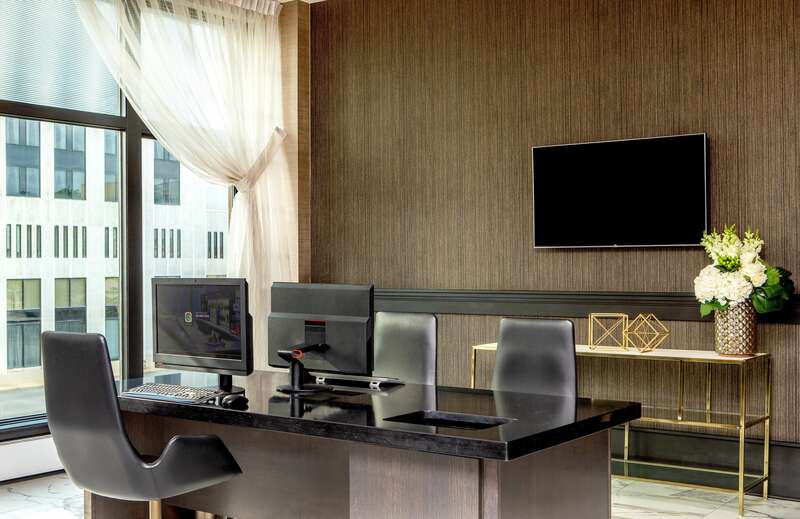 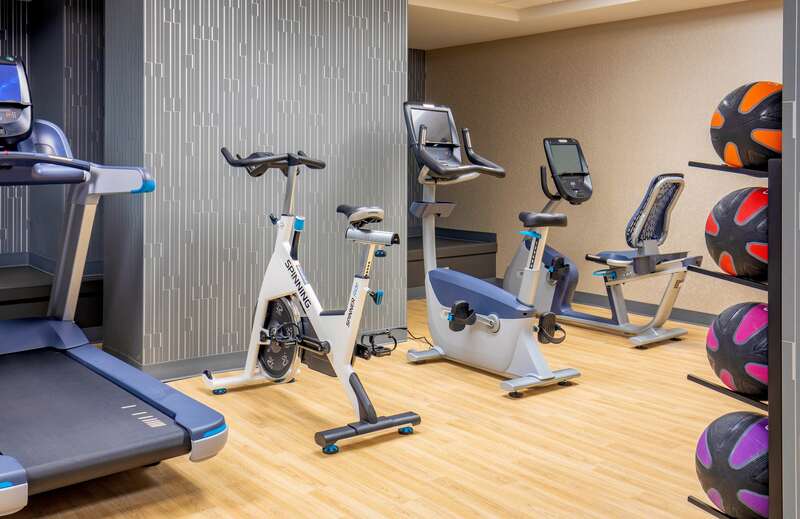 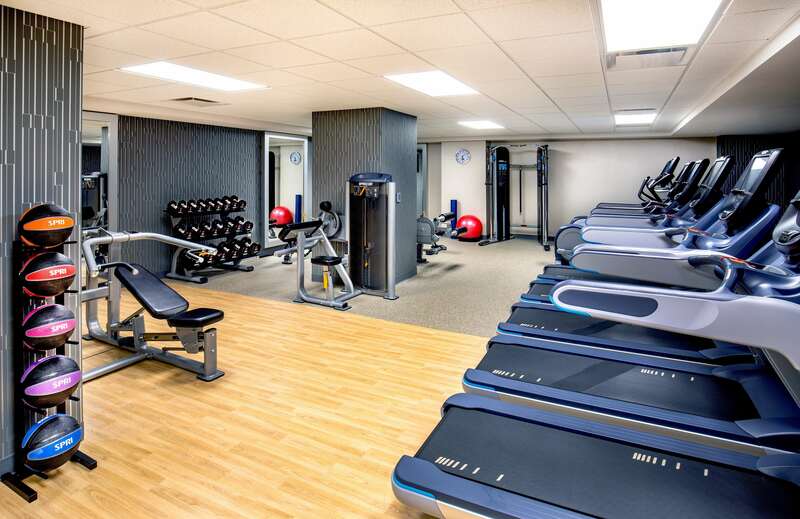 Work out in the complimentary fitness center, or connect with the office in the 24-hour business center. 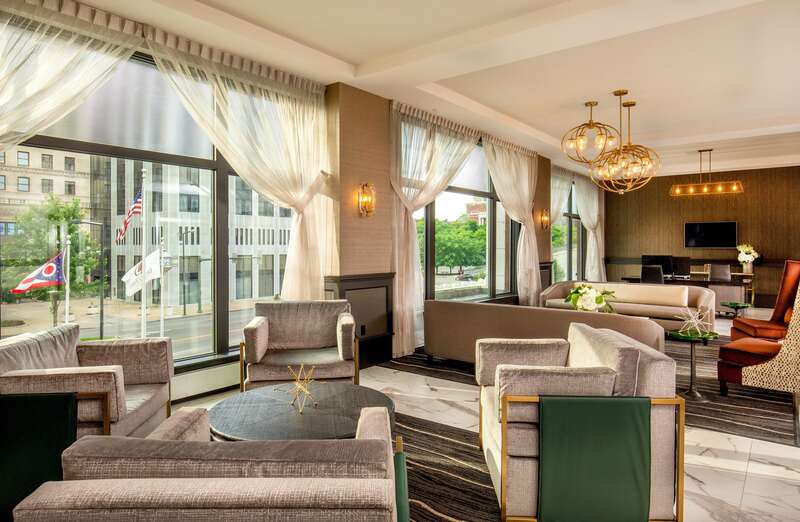 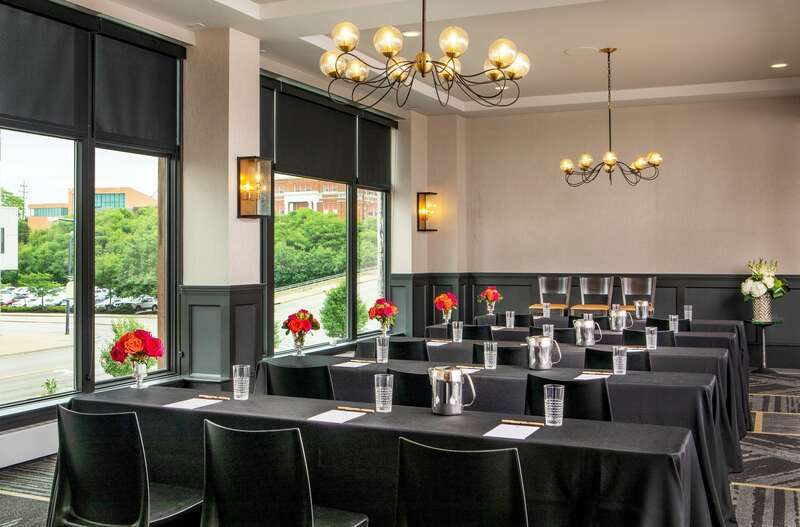 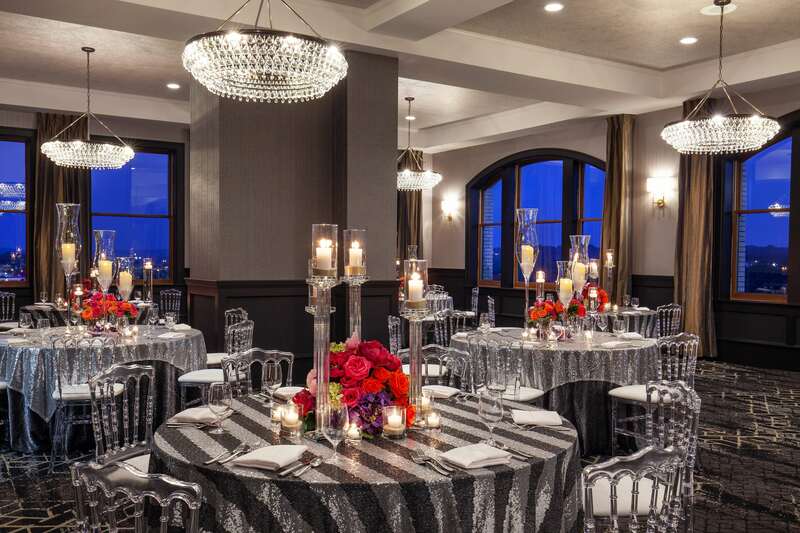 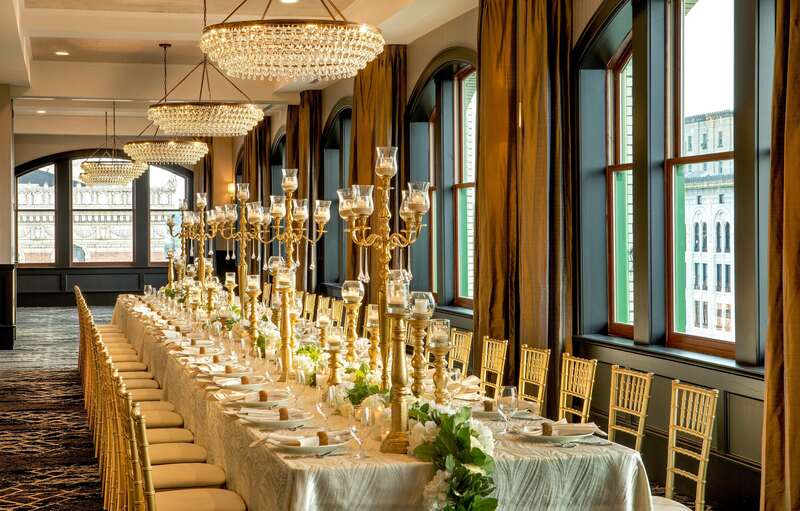 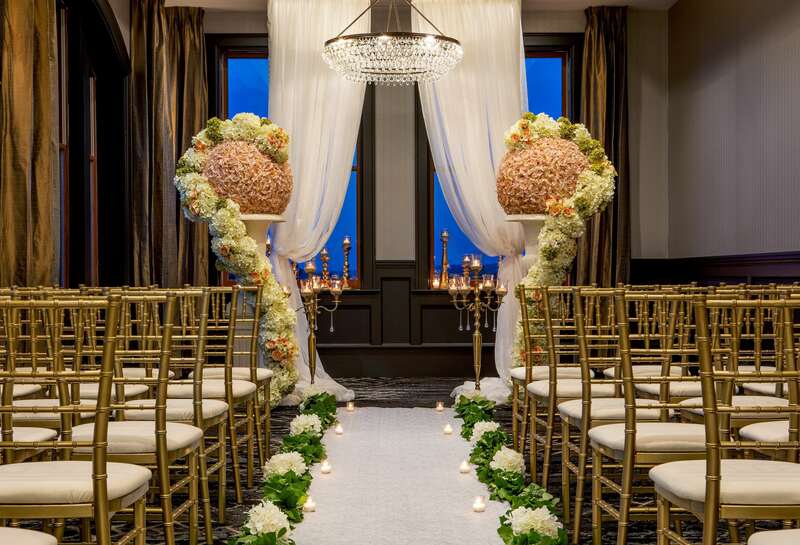 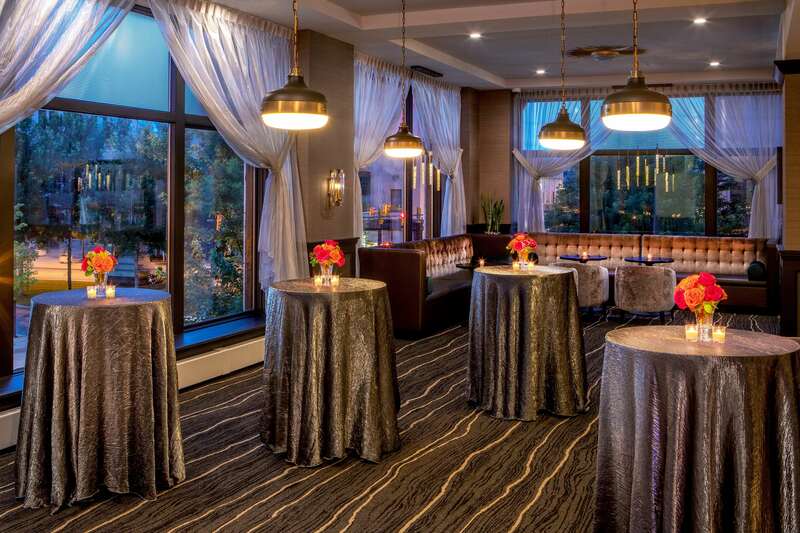 Events are memorable with stylish meeting space, including our top-floor ballroom accented by 13-foot ceilings, Palladian windows, and views from 12 stories up.